Be inspired by Net-A-Porters gorgeous offerings that will instantly add a pop of colour to any outfit!! im never brave enough to use a bright colored purse! black and brown - so dull haha. these are cute! I guess I need to unearth my yellow Prada bag and my pink Balenciaga! Oooo I want every one! 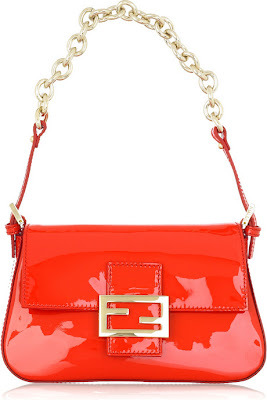 I'm particularly intrigued by the Lanvin bag- the color makes me think of candy- yum! The Lanvin is gorgeous. And possibly the only chain-handled bag I've seen and coveted! Delicious post, darling! Love allllll of these, especially the MJ! 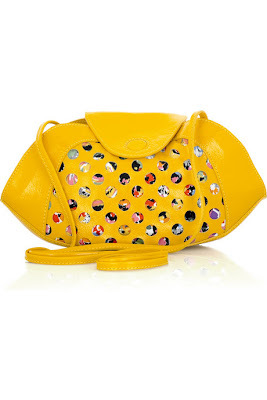 Ooh wow I love the yellow Chloe! R A I N B O W !! I like Marc Jacobs-The Single one, it's cool! I have recently started a blog myself as I couldn't find anything for my age group http://www.lookingfabinyourforties.blogspot.com could you check it out and link to me? 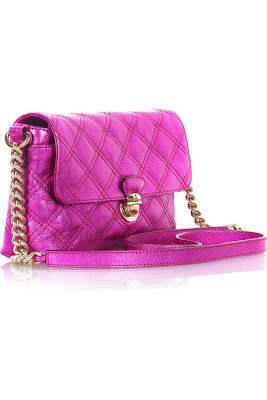 my favorite color bag is a chanel 2.55 in salmone pink. darling i have missed your posts so! how have you been dear? hope all has been well. LOVE these popping colours! they brighten any day! these are all so adorable! Thanks so much for the note. I always enjoy getting your perspective on things. that bright pink MJ number is hot! I am more of a neutral bag person. But these are great!!! I need a bright bag! Liking the MJ one, just the right amount of tackiness, which I love. Fantastic selection, just need the cash really! Loved the cream jacket from the post below, is gorgeous but shame it will get grubby soon. Wait for until they came out with a darker version. They certainly will. summer is all about colour, lovely choices! Thank you so much for the note. I really appreciate your feedback. I hope you are having a good week. 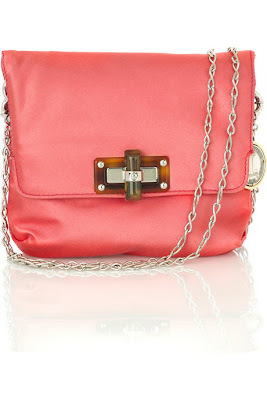 The Chloe bag is so so gorgeous! Hi everyone-thanks for the fab comments! OoooOOooooo- the Chloe bag- gimme, gimme, gimme!!! Hi Deena-thanks for stopping by! the MJ ans Chloe are awesome !! Hi the dark bohemiian-thanks so much! Thrift Inspiration...... Isabel Marant Bator Tweed Coat Style! Thrift inspiration, Doing it Tuxedo Style! !